The Christmas celebration day in the Czech Republic is the 24th December. An old tradition is to fast during the day in the hope that you will see a golden pig flying in the evening – and that brings good luck (or means you drunk too much whisky!). After the first star of the evening appears, everyone can sit down to a meal of fish soup (made from carp) followed by fried carp and potato salad then maybe apple strudel for pudding. Then it’s time to open presents brought by Baby Jesus (Ježíšek) and not Santa Claus. 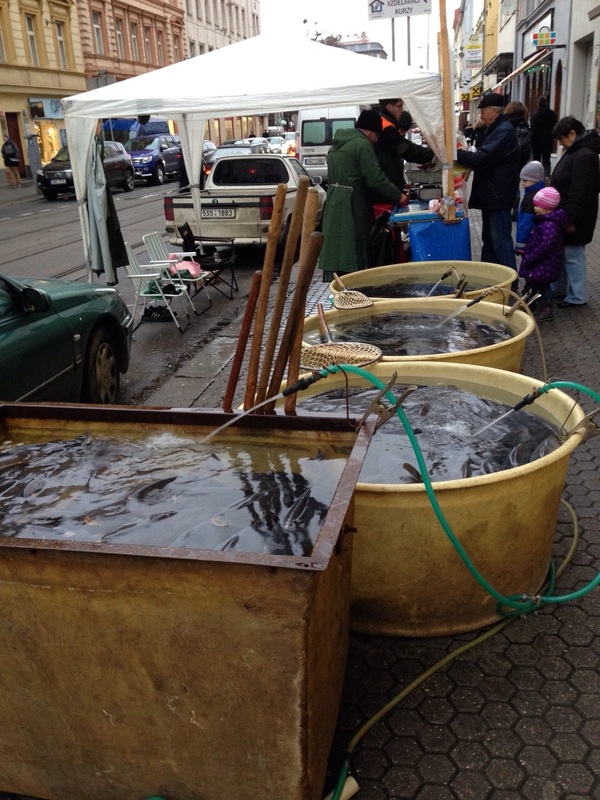 Christmas carp is sold live from large tubs placed on the streets and town squares a few days before Christmas. You won’t see this sight at any other time of the year. The carp sellers often sleep in a car next to the tanks to deter thieves. 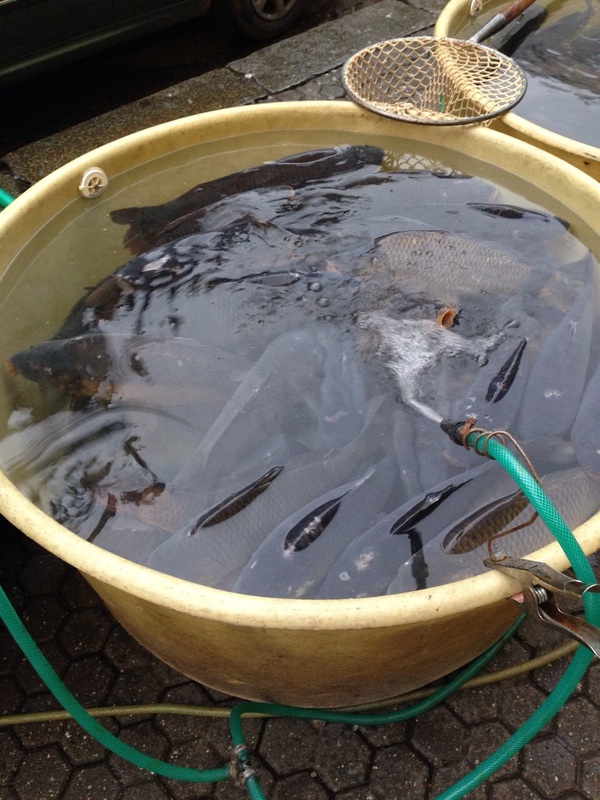 Carp is either killed and packed by the seller, or taken home and put into the bath until the 24th. I’m guessing that many of you think that I’m making this up – but it’s all true and below are some pictures from a local street in Prague taken earlier today.